TRIVANDRUM: Adding yet another feather to its cap, Matha Ayurveda Eye Hospital (Moongode) Pvt Ltd has received the prestigious accreditation from the National Accreditation Board for Hospitals and Healthcare Providers (NABH), the highest national recognition for providing quality patient care and safety. This makes it the first ayurveda hospital in Trivandrum as well as the entire South Kerala region to be awarded NABH Accreditation. NABH recognizes hospitals for fulfilling high standards in delivering quality healthcare to their patients. This accreditation from NABH recognizes the fact that the hospital meets strict standards of quality and safety set by the board. 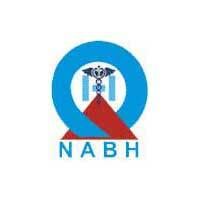 The NABH is a constituent of the Quality Council of India (QCI) set up by the Government of India. It is an autonomous body that establish and operate accreditation programmes for hospitals and healthcare institutions. The board is structured to cater to the needs of healthcare consumers and sets benchmarks for quality in the healthcare industry. Matha Ayurveda Eye Hospitals was founded in 2003, with very humble beginnings. It started operations as a 4-bedded hospital in a rented building at Trivandrum. The major target disease areas of the hospital are diabetic retinopathy, macular degeneration, retinitis pigmentosa, glaucoma, degenerative myopia and keratoconus. The hospital has selected the above diseases as its core target area of treatment because they come under avoidable blindness and can be managed in a better way on the basis of ayurvedic principles. The hospital also operates special ayurvedic eye care programme for children’s eye problems and dry eyes. “NABH accreditation is a major milestone for us as it is an official recognition that our facilities and norms meet established quality and safety standards. The fact that we are the first ayurvedic hospital to have received the certification in the entire South Kerala region is a testimony to our commitment to provide the best quality healthcare to the patients selecting ayurvedic eye treatments,” says Mr. Arunjith Puthussery, Group Healthcare Manager of Matha Ayurveda Eye Hospitals. Matha Ayurveda Eye Hospitals have the best ayurvedic doctors, ayurvedic therapists, and staff who have gained excellent expertise in major ayurvedic eye treatment procedures. Matha Ayurveda Eye Hospitals has not only focused on providing best quality ayurvedic eye treatments but has also initiated a number of awareness campaigns, eye camps and drives to educate people, especially school students and teachers about prevention of eye problems from very young age.